Often, your client’s website will need more than just public-facing content. Having a simple login system, where content is locked behind authentication, is useful for boards of directors needing meeting minutes, customers needing proprietary support information, or a hundred other uses. 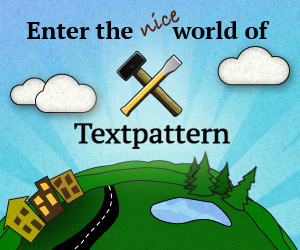 Textpattern, through its own strong user security and a combination of plugins, can support exactly that. Setting up an area that will require authentication. Extending the user table to support more information beyond name, email and password. Modifying permissions to ensure people that have access to the content do not have access to Textpattern itself. Building a public-facing login that uses Textpattern’s authentication model. Enabling the ability for members to independently change or reset their own password. The first thing to do is figure out what content is going to be locked up behind the username/password login fields. In our case, we’re building an area for a non-profit’s board of directors to access information that does not need to be exposed to the public, such as meeting minutes, event invitee lists, marketing material like logos, and more. This content is not customized per user. That is, we have one general repository, and everyone sees the same thing. The first thing we need to do is set up a new page template. We’ll call it “authenticate”. Right now, the code is simple, with just the page’s header, footer and content stuff. No login code yet. Finally, assign some content to this section. In our case, we’ll have three pages: meeting minutes, event invitee lists, and marketing materials. Install the smd_user_manager and smd_bio plugins. These plugins give us two new pieces of power regarding user management. First, smd_bio provides the ability to extend user information beyond the default name, email, password set. Second, with smd_user_manager, we can easily modify and add new permission groups which provides a more semantic level of control. Navigate to Extensions > Bio config. Here you can add the fields of additional user data you want to capture and possibly later use in a meaningful way. For this example, we’re going to add two new fields: the person’s role on the board (a dropdown with either “Member” or “Officer” as the options) and the person’s title (an open text field since this is different for every person). We’ll use this information later in the tutorial. Then we go to Admin > User manager > Privs to actually modify permissions. We will leave Publisher alone, since that is the site’s super admin. For Contributor, we’ll tweak the permission roles of Copy Editor or Staff Writer to make sure they have access to content and not much else. 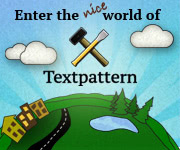 For Board Member, however, we want to strip away all Textpattern permissions. We want them to be able to log into the public pages, but not the backend content management area. Inside the Privs area, deselect everything. If they do happen to find /textpattern/ or any of its subdirectories, or even type in a command via URL query string, they will be rejected. All that matters is that they can use their credentials to log into the public-facing page. Install and activate the cbe_frontauth plugin. This plugin provides a rich set of capability for client-side user management, including login/logout functionality, redirection, password management, and more. It is well worth reading the documentation. Anything inside these tags will be hidden until the user logs in. In place of this code you could also simply use <txp:cbe_frontauth_box />, which displays the form, but I prefer laying out each component individually to have better control over the markup. As you can see, I’m wrapping my fields in my own <ol>, which provides slightly more semantic value and great hooks for styling. Since you guys are equally awesome, I thought you might like to do something similar. We’re using two new tags. cbe_frontauth_logout is an explicit tag for rendering a logout button as either a button or link. (The default is a button, which would require simply placing <txp:cbe_frontauth_logout /> on the page, but I prefer the HTML markup of a text link I can better control, which is why the code is a bit heavier.) Secondly, cbe_frontauth_whois outputs whatever information is stored in the Textpattern user database; I’m using it to print their real name, but it could also be their username, last access date or email address. As a side note, you could use almost identical code to output a list of all board members, their positions, and their titles. Dive into smd_bio’s documentation to see the unique capabilities this plugin brings to the table. One of the keys to a professional authenticated system is providing users the ability to retrieve and modify their password. Thanks to cbe_members, this is as simple as activating the plugin. When combined with cbe_frontauth, it automatically renders a “retrieve password” link for non-logged users, and a “change password” link for logged users. Clicking either link reloads the page with a form. It provides no options. It works in a binary state: when it’s activated, it renders the links and code; when deactivated, nothing. The markup cannot be modified with extra classes or wraptags, so some agility with CSS is required to style components correctly. <txp:cbe_frontauth_protect /> also supports the name attribute for serving content for specific users. Hopefully, this simple means of providing authentication can help smaller site admins lock down content with confidence. Using further conditionals, this model could be easily extended to much richer functionality, and with some real trickery, extend into other systems like forum usernames.